Quotidian objects in the world begin their journey in a stage of recognition and functionality, but function and usage are stripped away through the physical and cognitive process of time-and distance-travel as useful objects become trash. The MUSEUM OF GARBAGE derives from a concern for the ecology of waste management in Istanbul and a questioning of the role of the individual consumer within this complexity. 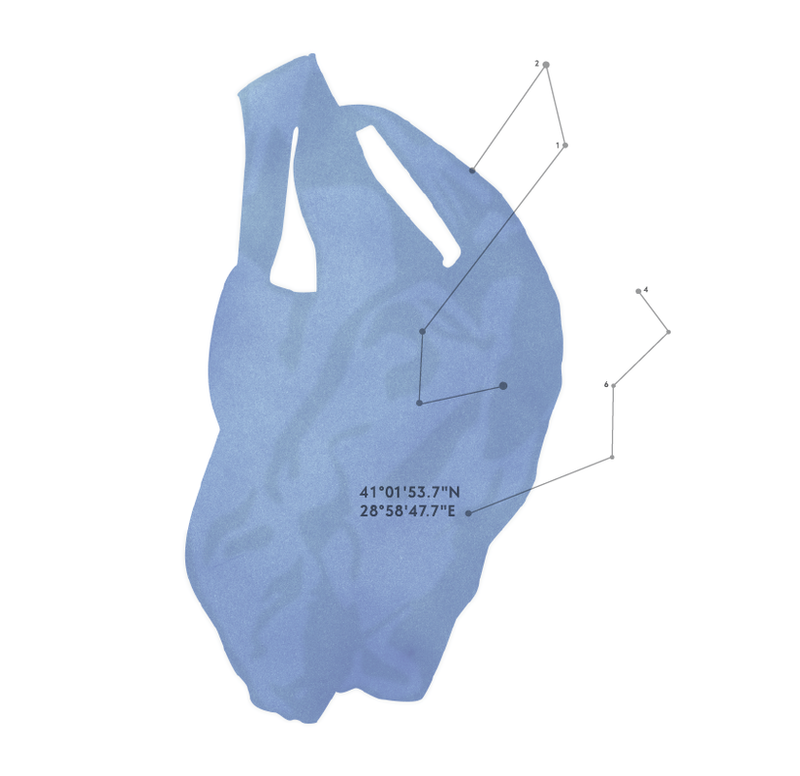 Objects of waste - compostables, one-time-usables, and also re-usables - change in functionality and value. They are objects produced, consumed and disposed - often forgotten, sometimes collected, and eventually transformed. The MUSEUM OF GARBAGE is a re-positioning of waste-items, gathered from the streets of Çukurcuma and housed in the space of a gallery. Changing the context, does not necessarily transform the items into a purely aesthetic form to be perceived as such, but rather bears the chance for them to be viewed from a different perspective, promoting a re-contemplation of their nature, use and consumption. At the exhibition, visitors find themselves among carefully-stacked piles of things dis-posed, a mapping of Çukurcuma’s re-collected street-litter, and three-dimensional visualizations revealing the lives and cycles of expended items. Visitors are also invited to make their own contributions, together creating a momentary archive of the city’s discarded pieces. 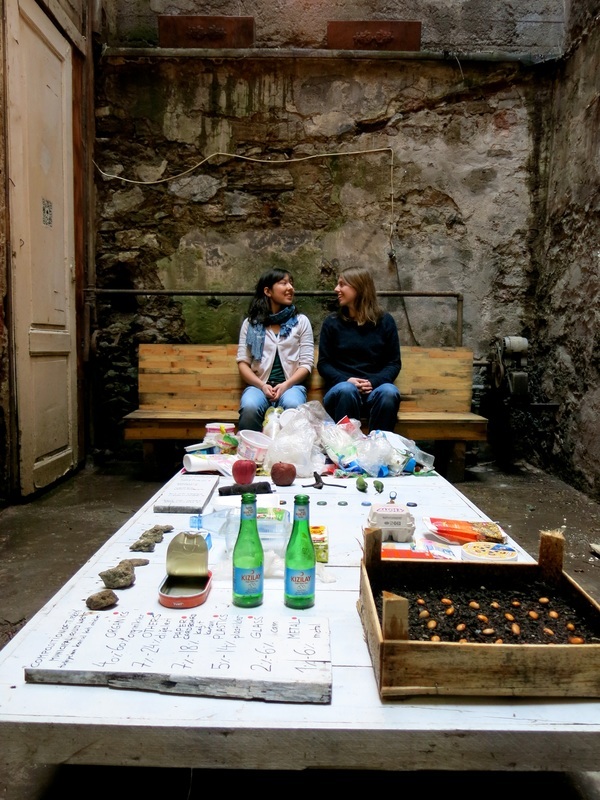 The MUSEUM OF GARBAGE takes place at CLOSET CIRCUIT in Çukurcuma, Beyoğlu, a centre for creative sustainability, where the project also hosts a pop-up cafe with space for feedback and continued conversation about patterns of consumption. FLYING roots is composed of two members, Jessica Sim and Olivia Traut - the curatorial team for the museum of garbage. Jessica and Olivia’s collaboration initiated whilst studying for their MA in International Performance Research at the Universities of Amsterdam, Belgrade, and Warwick. Jessica formerly studied contemporary dance (BA) in London. For her Master’s thesis, she researched theatre and performance initiatives as ecological activism. Olivia formally studied Psychology (Bsc) in Vienna and Nijmegen. For her master’s thesis she researched ethics and aesthetics in delegated performance. FLYING roots have since developed their ideas together in Istanbul and apart, continuing their art practices using online shared-platforms. FLYING roots wishes to extend research into socially engaged art and relational aesthetics as a bridge between theory and practice, simultaneously sharing knowledge and conversation with(in) new contexts and partners.